FSX Insider | FSX: Steam Edition and Boxed FSX: What Is The Difference? FSX: Steam Edition and Boxed FSX: What Is The Difference? Are you thinking of making the switch to FSX: Steam Edition? Do you want more information on the differences between FSX: Steam Edition and the boxed versions? If so, you are in the right place! The following article will go through the differences between boxed FSX and the Steam Edition, as well as the updates we have made since FSX: Steam Edition was initially released. In December 2014, Dovetail Games released the latest incarnation of Microsoft Flight Simulator X on Valve’s popular PC Gaming platform, Steam. For those of you unfamiliar with the Steam PC gaming platform, click here for more information on what it is and how to use it. The distribution of FSX on Steam has had many advantages, including easy installation of the sim itself as well as add-ons from the Steam store, Windows 8/8.1/10 compatibility, and the reinstatement of the multiplayer function via the Steam platform. What is FSX: Steam Edition? Essentially, FSX: Steam Edition is a re-release of the FSX Gold Edition (including Service Packs 1 & 2) which in turn is comprised of FSX: Deluxe Edition and the Acceleration Expansion Pack. 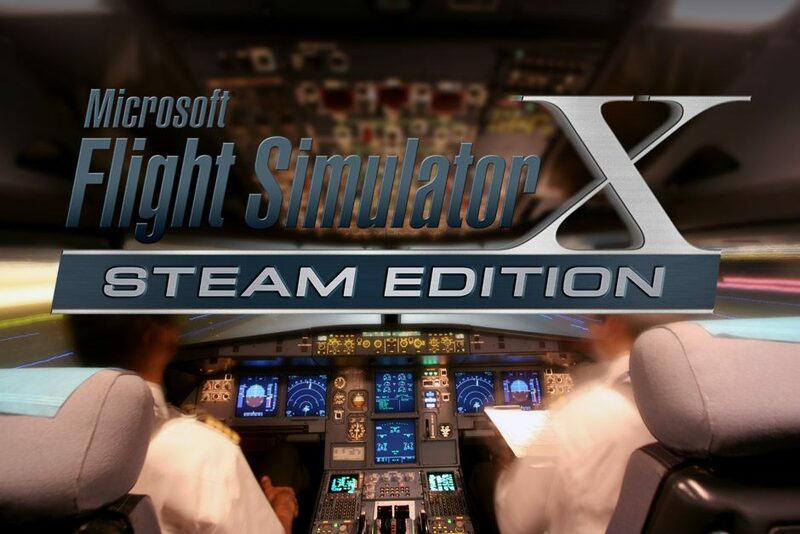 For those of you who are new to FSX, the Deluxe Edition was the most recent incarnation of Microsoft’s acclaimed Flight Simulator series before Dovetail Games released the Steam Edition. Additions from the Standard Edition include: the Garmin G1000 flight deck featured in three aircraft, the ability to act as Air Traffic Control (ATC) for other online users, and the following additional aircraft: Agusta Westland AW101, Boeing F/A-18 Hornet, the Grumman G-21A Goose and the P-51D Mustang. Additionally, the Maule Orion is flyable in the Deluxe Edition, as opposed to the Standard in which it was only available as an AI aircraft. The Acceleration Pack is a multiplayer-based expansion for FSX which also included the F/A-18A Hornet, EH-101 helicopter and the P-51D Mustang. Multiplayer air racing was the highlight of the pack, as well as new missions and graphical improvements in selected areas such as Berlin, Istanbul, Cape Canaveral and the Edwards Air Force Base. Updated splash, launcher and mission preview images for FSX:SE versions. Gamespy networking now replaced by new Steam networking. Friends/Banned lists now integrated with Steam. Game invites now use Steam. Host networking defaults to a single port 6112. Host networking uses 27016 for Steam Master Server Browser. Host timeout (loss of connection to host) now 35 seconds by default (was 55). “Disconnected” message dialog now retained on screen for 4 mins before automatic dismissal (was 30 secs). Top Down Camera (camera view select 4) was previously bound to F12 by default which is normally used for Steam’s screenshot feature. Camera View Select 4 now uses Shift+F12 by default to avoid potential clash. FSX and Microsoft Flight Simulator X: Steam Edition co-Existence feature allows both versions to be installed on the same machine. Increased Vertex and Index Buffers and the number of buffers. Fix to particle emitter controllers which were not being updated properly. Fix to flush all levels of detail in terrain cache. Fix to Texture Composition preventing fail and crash. Fixed issue where player is able to reserve more slots for friends than maximum players allowed in the game. Fixed issue where invalid Briefing Room was presented to player when cancelling session creation. Fixed issue where weather text in the multiplayer briefing room is partially cut off. Fixed issue where no error message appears when attempting to host a session with the network adapter disabled. Fixed issue where there is no error message when attempting to host a session with the network cable unplugged. Fixed issue where host player is frozen after a collision occurs in multiplayer. Fixed issue where client gets dropped from a multiplayer game after they crash into the host. Fixed issue where the Host Options in multiplayer/ Free Flight allow a user to have a maximum of 99 player slots. UIAutomationCore.dll work-a-round is now supplied by default with Microsoft Flight Simulator X: Steam Edition. This fixes a number of crashes relating to UI interaction on 64-bit versions of Windows. Prevent default color mode for Windows 7 and above (enable automatic display composition). Dovetail Games currently have no plans to release any further updates, but will continue to support FSX: Steam Edition and its community so if it becomes necessary to release any more updates, we will do so. Do you have any experiences with boxed FSX or the Steam Edition you would like to share with us? Tell us about your adventures in the virtual skies in the comments section below, or ask us any questions you may have.